For almost 100 years, the Boy Scouts of America have instilled in youth the values found in the Scout Oath and Scout Law. Today, these values are just as relevant in helping youth grow to their full potential as they were in 1910. The program builds boys mentally, physically, socially, and spiritually. The skills they learn in Scouting help them overcome obstacles and challenges with courage and character throughout their lives. Give your son a valuable gift by encouraging him to join Boy Scouting today. The time you invest in him today will make a difference in the person he becomes tomorrow. First Year, First Class…a foundation for success: When the First Class rank is attained, a scout has learned all the basic camping and outdoors skills required for safe and capable adventure. He can fend for himself in the wild, lead others on a hike or campout, set up a camp site, plan and properly prepare meals, and provide first aid for most situations he may encounter. To become First Class in the first year a Scout has to be a member of an active troop that goes camping regularly, that provides plenty of opportunities to learn and use Scouting skills, that effectively presents the full Scouting program touching on all the aims and methods. 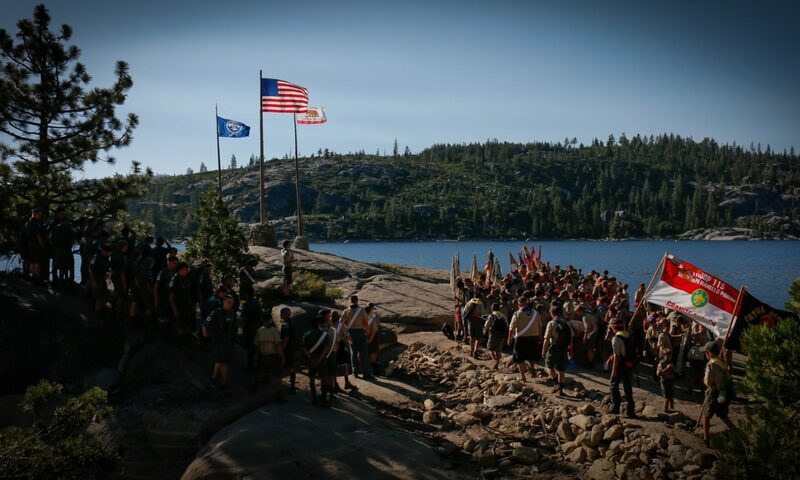 Scouts earning First Class in the first year are one sign of a healthy troop. Your family’s investment: There are some basic costs in joining Troop 115; an annual $24 registration fee to BSA, an annual $60 troop fee, and a $40 uniform shirt. Beyond those costs, scouts will contribute to planned events and activities they choose to participate in, ranging from $10 for short local outings, $250 to $500 for summer camp, up to $3,500 for a two week high-adventure camp or National Jamboree. The value of your investment: A 2005 study by Harris Interactive found that 83 percent of men who were Scouts in their youth agree that the values they learned in Scouting continue to be very important to them today. Compared with men who were never Scouts, men who were Scouts ﬁve or more years as youth are more satisﬁed with their present lives and occupations, have sustained lifelong friendships, and place a higher value on family relationships. Men who were Scouts also earn higher incomes, achieve higher levels of education, and attend religious services more often than men who were never Scouts. Act now, and join us at an upcoming event! Previous PostPrevious Wow! What a summer…camp!